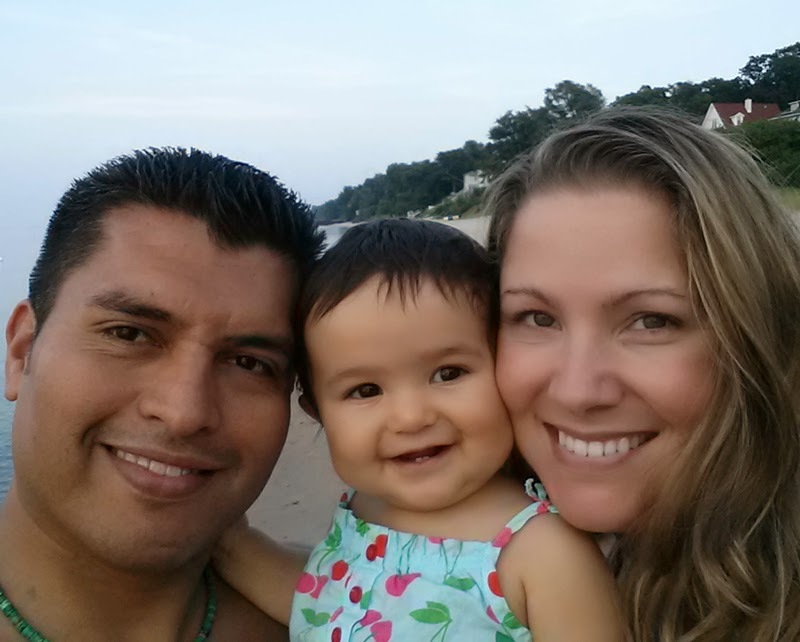 Former patient, Christine Mendez, wrote in her own words about her journey to motherhood with Fertility Centers of Illinois. She wanted to share her experiences so that they could help anyone who might be going through the same struggles, pain and worry. Read on to experience her journey through her eyes. 1. How did infertility affect your (and, if so, your partner’s) life? Can you describe your story? I always knew that I would have trouble getting pregnant when the time came to try; I never had a regular period, since I was a teenager. But I always thought of it as a “we’ll cross that bridge when we come to it” type of issue. So, when my husband and I decided to start trying, we went to my OB/GYN for guidance. He knew my situation and put me on a Clomid cycle and suggested that we use a fertility monitor. Four Clomid cycles later, and after nearly a year of trying, he suggested that we go to see Dr. Uhler. I adore my OB/GYN, Dr. Yam Tong, and trust any referral he gives with the highest regard. Dr. Uhler suggested that we start with IUI, since we had already done Clomid, and we began there. We went through 3 unsuccessful IUI cycles, at which point she said it was time to try IVF. There are a lot of decisions to make when it comes time for IVF, and Dr. Uhler patiently and thoroughly went through all of our options with us. Throughout our infertility treatments, I always knew that it would happen when it was meant to happen. Honestly, the hardest time was before we went to FCI and we were kind of on our own with Fertility monitor tests and Fertility watches giving us crazy, conflicting information. Once we met with Dr. Uhler, I knew that we were no longer alone and that everything would work out. Our daughter, Lizzie was conceived on our first round of IVF. She is now 15 months old. We met with Dr. Uhler again when she was 6 months old, to talk about what the plan would be for number 2. She suggested that we go straight to IVF, seeing as it was a success the first time. Since Lizzie is still breastfeeding, we’ll have to wait, but as soon as we’re ready, there is no doubt that we will be back at FCI. 2. Why did you choose to trust FCI with your fertility treatments? As I mentioned, I adore my OB/GYN, Dr. Yam Tong, and trust any referral he gives with the highest regard. He did not hesitate when I asked him who to go to, Dr. Meike Uhler. 3. Who do you remember most when you think of your time with FCI? Dr. Uhler is great, but honestly, you don’t really see your Doctor as much as the nurses and techs. We saw FCI out of the Oak Brook office. Josie at the front desk is great! Our nurse Debbie, Karen the ultrasound tech, I can’t remember her name now, but the tech that always drew my blood, with red hair, was great. All of the nurses and techs really share your ups and downs. And when they handed us off to our OB/GYN when we were 6 weeks pregnant or so, leaving them with hugs and tears in our eyes was bittersweet. We went back to show off lizzie when she was just a few weeks old, and again to discuss the plans for number 2.They are all amazing! 4. What words of advice do you have for those thinking about using Fertility Centers of Illinois to treat their infertility? DO IT! They are the best!